The Magic Circle is ranked in the 81st percentile of games scored on OpenCritic. "The Magic Circle" wants to confront you with its imperfections and make you consider why you play games in the first place. It may be the wiliest reflection on the medium to come out of a small studio since "The Stanley Parable" or "Fez." It's the rare sort of game that wants to amuse you, not pacify you. This is a game written for people who have worked in a particular kind of game development. It's hard to applaud the jokes when it's unclear where the lines between reality and exaggeration lie - and this is a story whose shoots grow from lived experience. Far easier to applaud the game's core gameplay invention, which enlivens The Magic Circle at its heart, and a piece of design that, unlike Ishmael Gilder, will surely find a life beyond its game. The Magic Circle has a very clear understanding of how games can be laid low, especially when high-minded ambition rather than practicality is in charge, but whether because of budgetary limitations or because it's too determined to convey its message first and foremost, it seems to then make some of those same mistakes. A memorable trip into game design and development hell, The Magic Circle's only sin is that there isn't more of it to play around in. 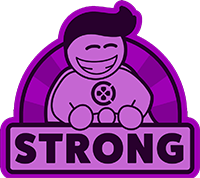 What is here is storytelling and gameplay intermingled with expert care, bringing the player on an intellectual thrill ride that should be seen by all. The Magic Circle is the best "broken" game you've ever played - and a rich satire of the industry to boot. "The Magic Circle was definitely a quirky, lovingly made and interesting ride which I enjoyed immensely. The only thing I'm still unclear on is I'm still trying to decide whether the fact that it left me wanting more is a good or a bad thing." The Magic Circle is a playable videogame about a broken videogame made by people who aren't good at making videogames. While you're busy sorting between layers of candid reality and marginal fiction, The Magic Circle swiftly installs an impressive degree of agency behind its narrative and mechanics. It's not exactly commentary or criticism, but a relatable demonstration of game development hell and, ironically, one that's fun to engage as an untethered party. The Magic Circle is a delightful puzzler brimming with creativity. The message is a little muddled, with so many accusing fingers thrust in so many directions that I'm sure different people will come to radically different conclusions of what it all means. But it's a message worth hearing, and a world worth exploring, if you care about video games and the people that make them. The Magic Circle could have easily went with the normal limited interactions of the standard environmental puzzle game, but Question Games took things one step further, adding rich mechanics that allow players to tinker with its inner workings on some seriously impressive levels. This kind of open-ended ambition may leave players feeling lost at times, but its exploration of the act of creation and collaboration will stick with them for years to come. Highly imaginative and bitingly witty, The Magic Circle takes all aspects of the video game industry to task as you try to save a long-awaited game from development hell. The Magic Circle is a marvelously creative, puzzling adventure that's very mad at you. Visually drab and a bit too taken with its own story, but otherwise a clever and fun exercise in creative problem-solving. The game does have its flaws. It's a short play, easily completed within a matter of hours. And while it's largely deft in its deconstruction of game development, it can get heavy-handed at times – the concluding scenes at E4 being a case in point. Nevertheless, it's still a game worth experiencing. 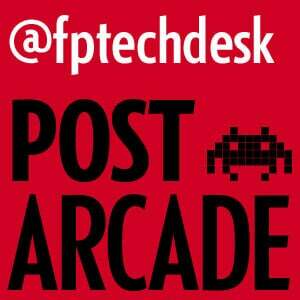 It's an intriguing and amusing game and is a smart analysis of the game industry's concerns and how they relate to players. The world of The Magic Circle is a jumbled mess of half-finished ideas, overblown ambitions, long boardroom meetings, and the conflict between whiteboard and what can really be done. 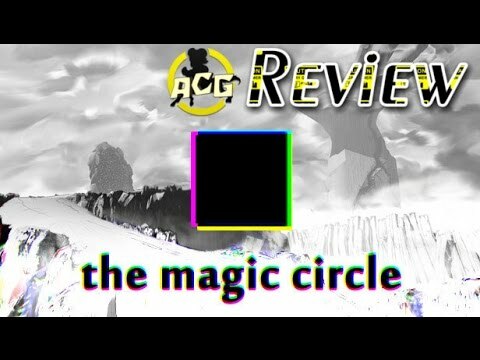 The wonderful irony of The Magic Circle is that despite the extreme cynicism that informed its creation, it's actually representative of many of the positive aspects of modern gaming. Its biting humour and brilliant premise place it as part of a vanguard of indie titles keeping videogames more alive and engaging than ever, beneath the AAA mire. It's a very human product and, as such, makes some very human mistakes (most notably dreaming up amazing gameplay systems that vastly outstrip its own scope), but that's an acceptable price to pay for a work of genuine creative vision. Sure, there are plenty of titles that poke fun at multiple aspects of gaming tropes and the surrounding culture. But sometimes pulling back the curtain in a creative way can really work to the medium's advantage. Although its mechanics are not upbeat enough to have you engaged for hours at a time, the story is interesting enough to say something, however niche this message is.